When social media networks appeared for the first time, they were used only for communication between people who know each other (in rare cases between people who don't know each other) and for fun. Today, the situation is different because millions of active users on many social media networks and many companies have realized that they can use social media for promotion and brand building. The situation is not different when it comes to Twitter. Twitter, which was once used as a micro-blogging platform, is now used by more than 300 million users who are active on a monthly basis. Many of them are using the platform on a daily basis and a huge number of them are actually business users. But, opening an account on Twitter and being active is just one element that will help you witness the benefits of using this network. If there are no people to read your tweets, then you cannot expect success. In a recent conversation with Tait Fletcher, a co-founder of a coffee subscription company in Albuquerque, he identified having huge follower/fan base on twitter as one of the most important elements of their marketing plan. With twitter, having a big follower base provides a positive indication for possible customer/clients, better exposure to virality, follower turnover, social proof, and future potential for businesses. There is more than one way to get Twitter followers, but they can be separated into two groups - paid and free. When it comes to free methods of obtaining Twitter followers, you should know that there are several tactics used by Twitter account owners. For example, they are trying to promote fresh content on a daily basis. They are also interacting with another user by replying to comments, and sending social signals on other profiles. Some of them are using videos and images to enrich the content they are sharing and grab the attention of the followers. This is the kind of strategies Drew Doggett of Kobalt Consulting claimed to be using for their online marketing for local businesses in Aurora areas of Colorado. On the other hand, when it comes to paid options, Twitter users can opt for advertisements and for bought Twitter followers. The first solution is quite simple - you will pay Twitter to show your ad and hope to get more followers. Even though this is a convenient solution it can be quite costly and it doesn't guarantee success. The other solution has proven to be much more reliable and efficient. Why buying Twitter followers is a smart idea? Before we share the details, let's point out that the crucial part here is the word real. If you are prepared to pay for a service like this, then buy real Twitter followers. There are many so-called reliable providers of Twitter followers, but they are providing fake accounts without profile images and with illogical names which are obviously fake Twitter accounts. And it won't take much time before they are deleted and your Twitter follower base will suffer. Real Twitter followers have unique profile images, their own tweets and they interact with other users. Buying real Twitter followers seems to be very useful, but many business owners and ordinary people are still wondering why they should use this option. Well, to start with, if you have a big follower base on Twitter, you will instantly improve your brand exposure. 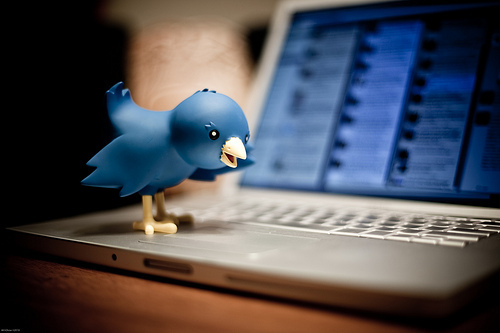 Twitter accounts with thousands of followers look important in the eyes of users. Those accounts with few dozens of followers are not very reliable. While we are talking about these effects it is good to mention that such a strong base triggers the so-called bandwagon effect. It was proven numerous times that people are more likely to follow profiles that have huge fan base. Furthermore, there is no doubt that it is much cheaper and easier to buy real Twitter followers than to wait for your follower base to grow. And once you get a certain number of followers, you can try to increase your followers in an organic way. Instead of investing hundreds of dollars in Twitter ads, you can buy Followers right now and watch their number increase in a matter of hours.